Late last year, the Milwaukee Art Museum renovated its galleries to invite even more of Lake Michigan’s beautiful, stunning ribbon of blue inside the crisp, white building whose Quadracci Pavilion design by Santiago Calatrava earned the museum TIME Magazine’s “best design” mention in 2001. Now, there are walls of windows in the newer galleries and you can sit down with a glass of wine or pretty pastel macaron cookies in the museum’s third noshing-and-imbibing area—on the lower level, separated from Lake Michigan by only a few hundred yards. As a result of renovating the War Memorial, which is the museum’s oldest building when compared to the Quadracci Pavilion, there are now two new installations: “The Collaboratory” (through March 2017), an interactive space illustrating how modern-day objects (like Beats headphones) were inspired by prior centuries, born out of the museum’s Teen Leadership Program; and the Chipstone Foundation's “Mrs. M—‘s Cabinet,” a replica 19th Century residential interior filled with objects a woman in that era might have owned. Riding the wave of these exciting changes is the latest traveling exhibit, “Nature and the American Vision: The Hudson River School” (through May 8), which opened in late February. 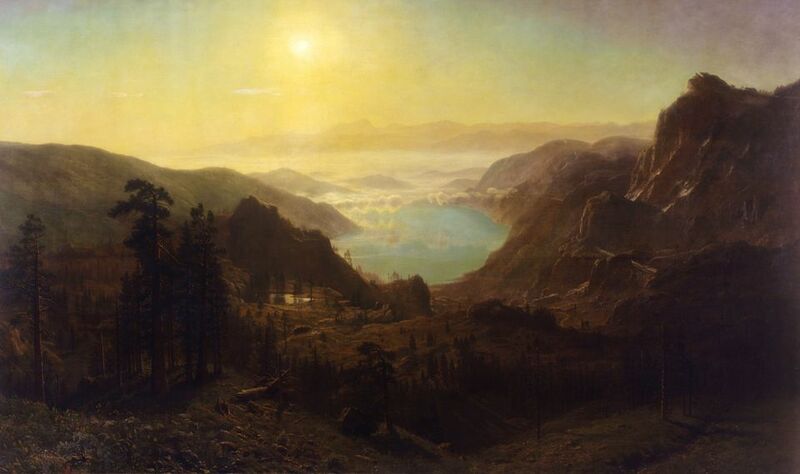 The show, previously at the Los Angeles County Museum of Art, is an ode to the early-19th Century Hudson River School painters, who were inspired by the recent innovations in transportation, which allowed them to leave their studios and get out into nature. (It’s worth noting that poets and writers were also in the movement.) Those places include Niagara Falls, the Adirondacks, the Catskills and the Hudson River Valley. Twenty-three artists are represented in the show of about 50 paintings, with the most well known being Thomas Cole. Included is Cole’s series “The Course of Empire” (1834-36), previously shown at the Louvre in Paris, France, and making its Milwaukee debut. It’s about the rebirth of a society and seeing all five in the same room is an awe-inspiring moment, particularly as they all share a focal point (a rocky cliff), although it shifts around the scene in each painting. It was a political statement against Andrew Jackson’s Imperial philosophies, says Ruud. Other epic painters in the show are Asher Brown Durand and Frederick Edwin Church. “(The artists) were trying to evoke a poetry, literary and historical association with the landscape,” says Ruud. “(These paintings) were considered the first great American artworks created on American soil. They are as relevant today as they were 200 years ago.” All are on loan from the New York Historical Society. That some of these works were painted at the height of the Civil War further drives home their desire to “escape from a war-torn environment,” says Brandon Ruud, who joined the museum in 2014 as its Abert Family Curator of American Art.